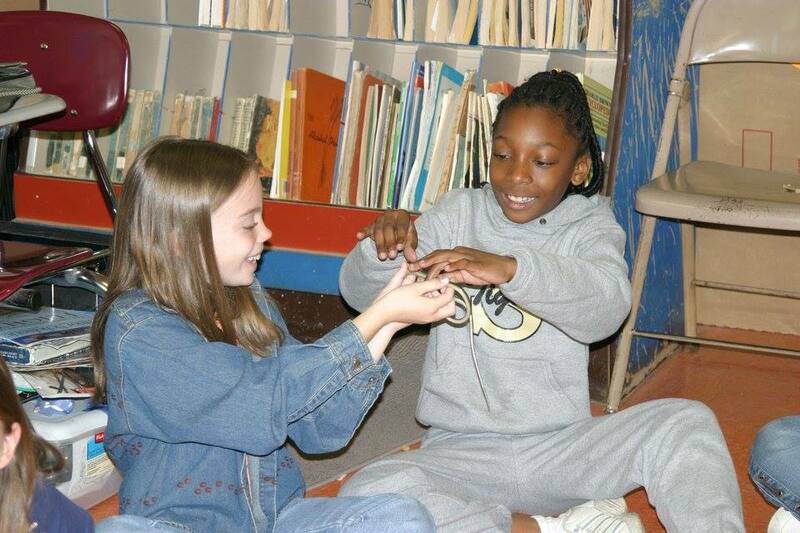 Hands-on learning is what the Cooperative Environment program is all about. 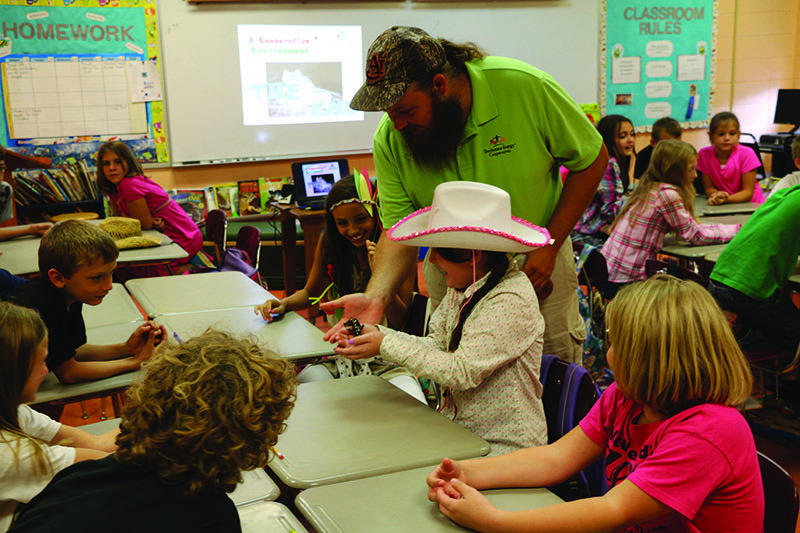 It gives young students the opportunity to hold or touch tame animals in the comfort of their classroom. 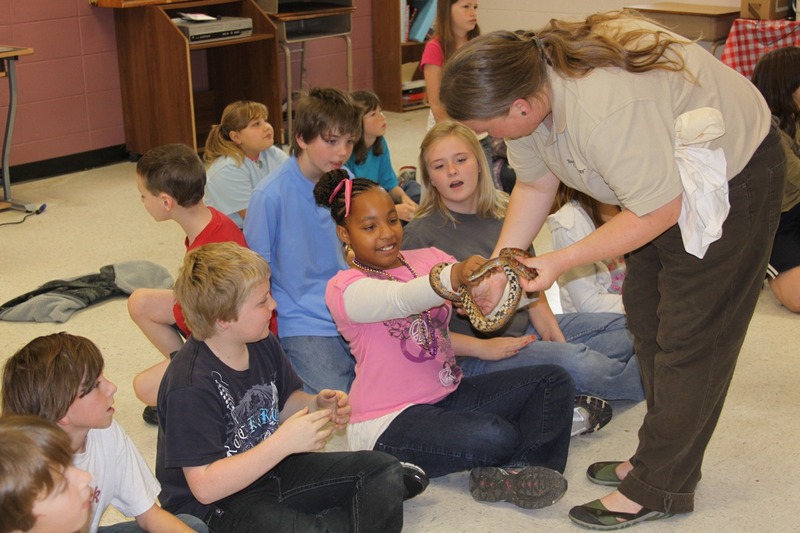 CEC offers several educational programs to the schools it serves, but one of those programs is highly anticipated each year by the schools that request it. 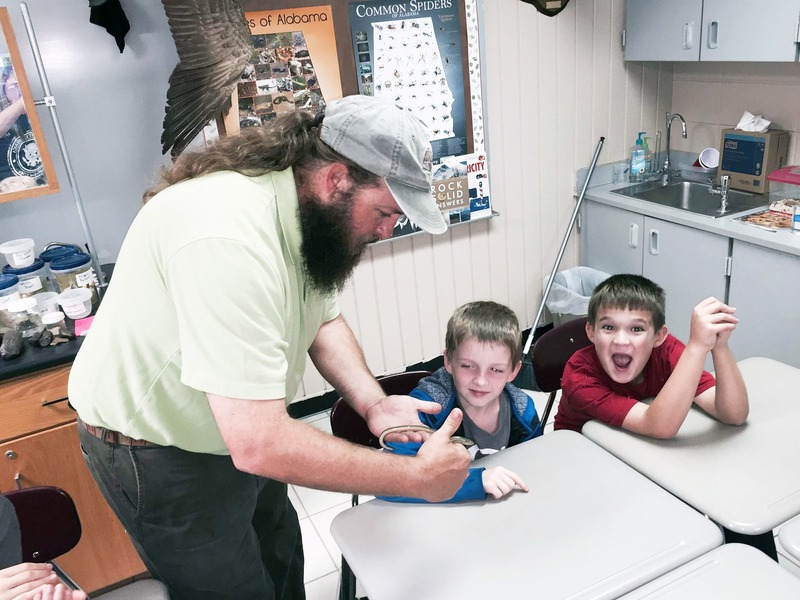 A Cooperative Environment was created to teach children about the importance of preserving local ecosystems and to introduce some of the animals that inhabit our local forests. 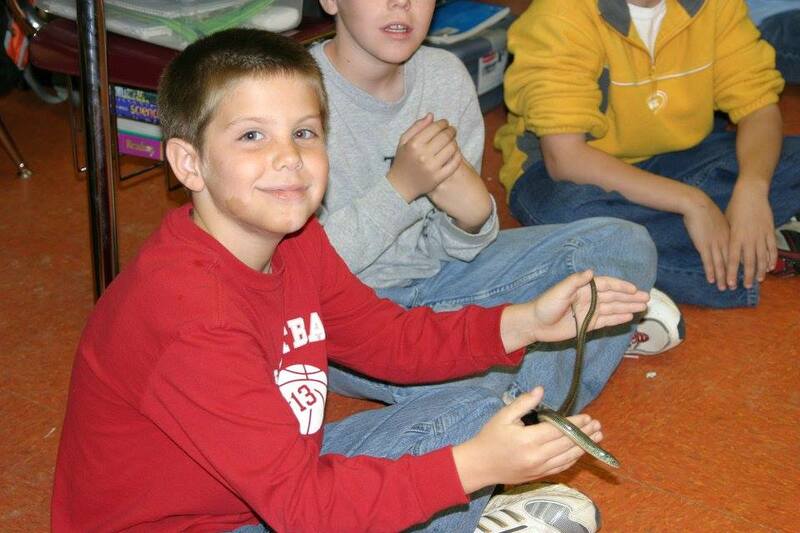 It is presented to the fourth-grade class level. 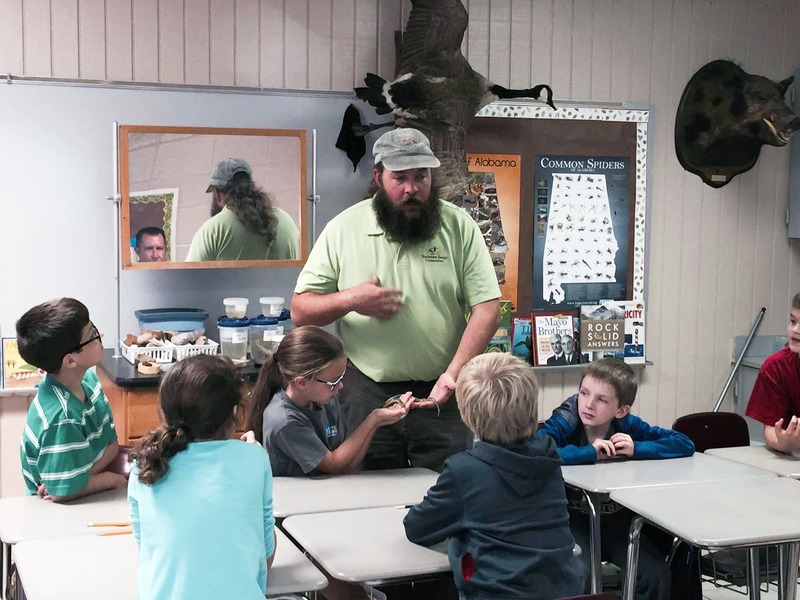 A Cooperative Environment is coordinated and sponsored by CEC; however, the program is presented by wildlife biologists Jimmy and Sierra Stiles. 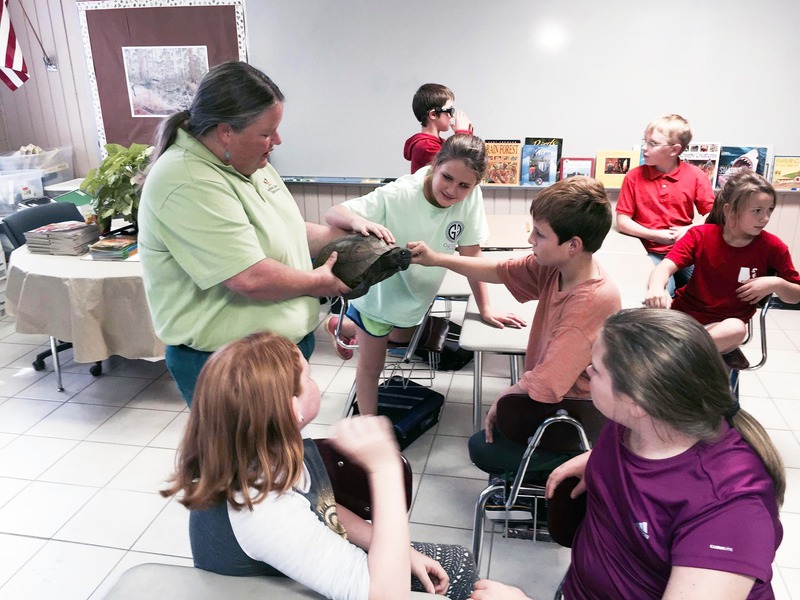 Ms. Jill Smith, a fourth-grade teacher at Straughn Elementary School, requests the program each year for her students, and others who are studying amphibians and reptiles. 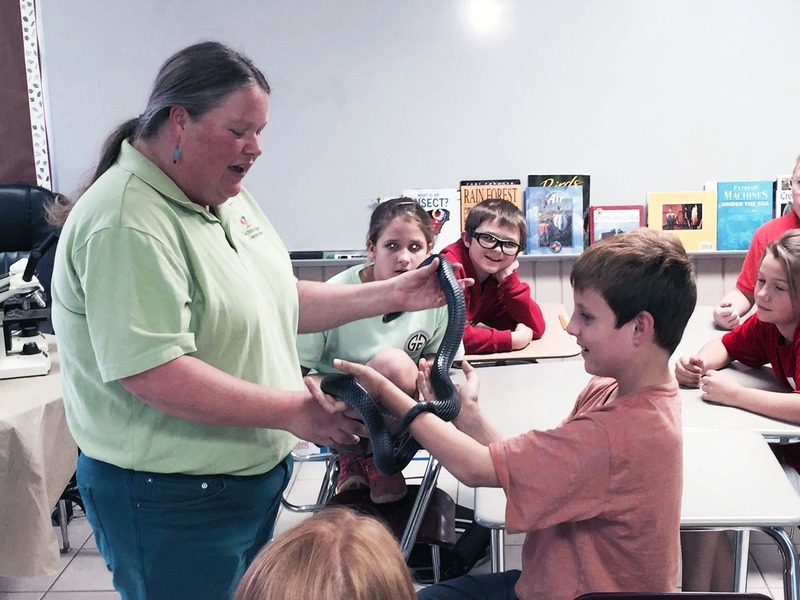 While the program provides a hands-on setting where students can hold animals including a corn snake, they are clearly warned never to pick up any snake in the wild regardless of what kind it is. 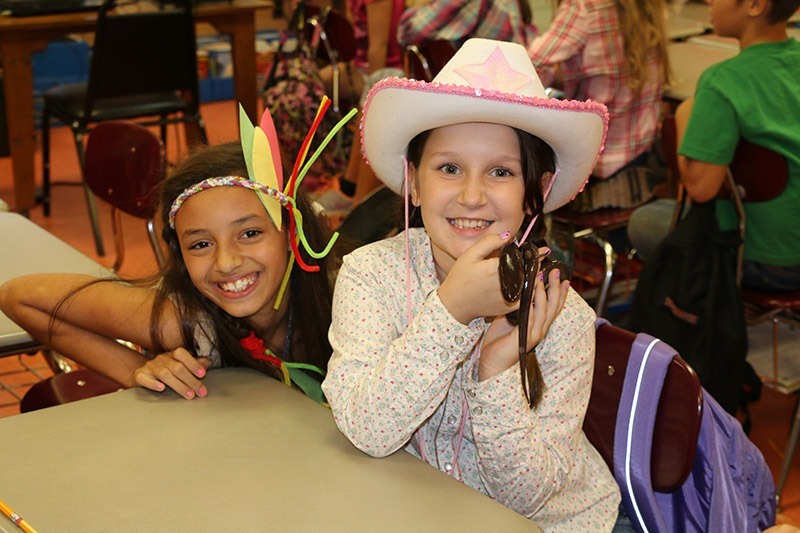 “This program is great for our fourth-grade students because it provides an informative and fun experience,” said Ms. Smith. 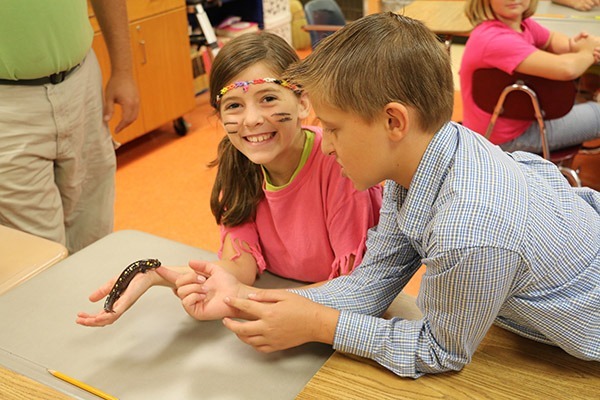 “The kids enjoy holding the animals and learning about their different characteristics,” she added. 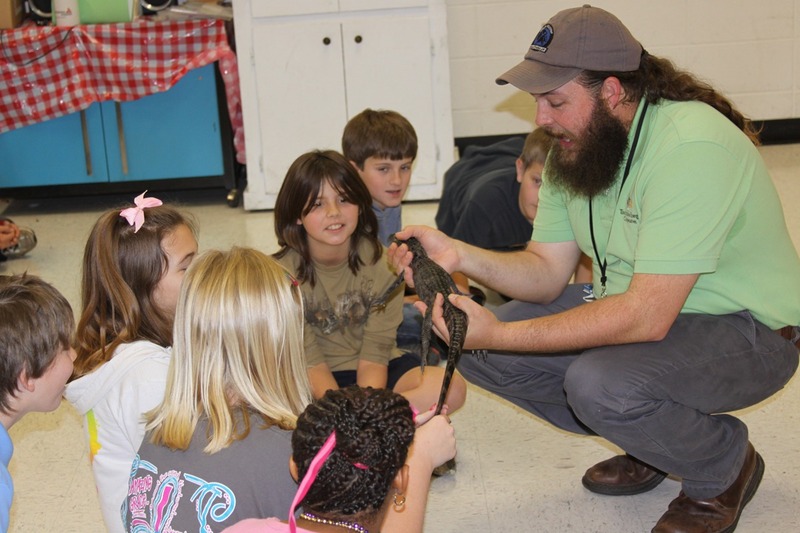 If you are a fourth-grade teacher who is interested in requesting this program, please contact Patty Singleton-Seay at 334-427-3508 or psingleton@covington.coop.